There are a ton of myths out there regarding metal roofing. We wrote about those metal roofing myths not too long ago. So why do they persist? Surely people aren’t still propagating them are they? The answer is that they are being propagated. And a lot of the time, those claiming the myths are other roofers. Why would a roofer downgrade the perks of metal? Aside from the obvious: they don’t want people to go to the competition. But if that roofer offers metal roofing as part of their service, why are they saying it’s a bad investment, it’s noisy in the rain, it attracts lightning, it makes the house hotter, and spreading other myths? Most service companies want you to keep coming back to them. If you have a great experience at a restaurant, you go back. If you get a good product and service at the salon, you go back. If you get good service from your roofer, you go back. The fact is: asphalt shingle roofs wear out faster and are damaged easier than metal roofs. Here at Beartooth Metal Roofing, we want to earn your repeat business. But we are aware that it is very unlikely that you will have another metal roof put on your home during your lifetime. These things will last 50+ years; barring a HUGE hailstorm, you won’t need us again. We hope to see you, but we don’t want to downgrade the benefits of metal just to put the next roof on your home. The other reason that many roofers will downgrade the benefits of metal is because it’s hard to do a metal roof. You can grab a handful of laborers, even those without roofing experience, and get an asphalt roof installed. Grab a handful of laborers for a metal roof, and you’re going to have a lot of frustration on your hands. Metal roofing requires a different set of skills. There is a lot more precision necessary, and when you don’t have a crew that works together well (and knows what they’re doing) you end up with mistakes. Many roofers don’t make as much money on a metal roof because it takes longer than they expect, and they have to buy surplus materials to compensate for mistakes. We do metal. It’s not a small sub-category of the long list of services that we offer. It’s exactly what we do. If you need an asphalt shingle roof, we can get you set up with a company that we trust will do a great job; but we do metal. Metal roofing is a work of art and a skill that we have perfected over the years. 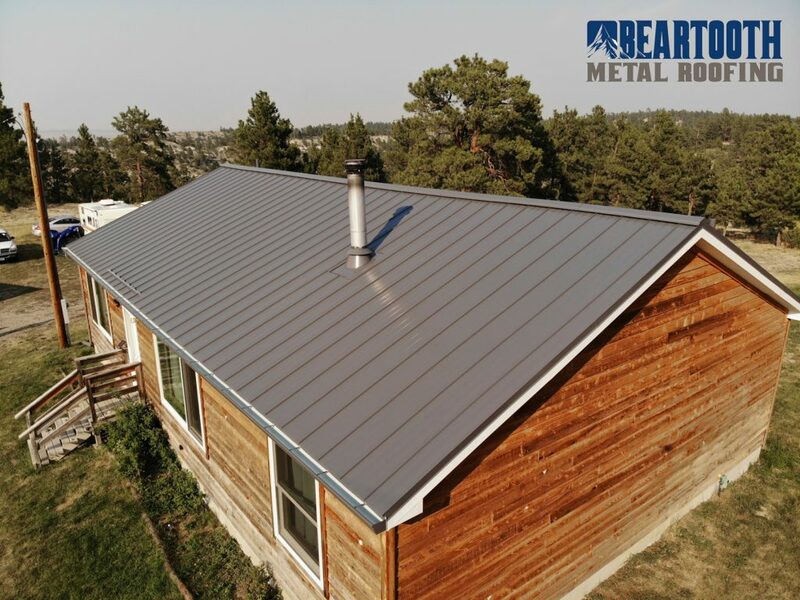 So if you’re in Montana, and you need the best metal roof you can get (one that is done the right way the first time), get in touch with us by calling 406-839-0084.